Slow and mellow, reggae is known for its smooth beats, politically charged lyrics, and its spiritual overtones. The peace-loving, warm-natured style of the music makes it unsurprising that its artists are generous with their free downloads. There is plenty of free reggae music to choose from, so choose some of these excellent sites and start building your playlist. Last.FM -- This site's incredible abundance of free reggae mp3s might be the only site you need as it will take you a long time to explore every free download available: everything from classic reggae from Jamaican indie artists to Russian and South American reggae. Free Music Archive (FMA) -- As the title implies, every track on this site is free. If you're interested in some of the more unique styles of reggae other than the traditional sounds, FMA has a wide selection of Reggae Dub (450-500 tracks) and Reggae Dancehall (40-50 tracks). Gimmesound -- This site offers a free download for every track. The only caveat is that you must sign up for a profile, which is free and simple to do. It currently features a handful of independent reggae artists from different countries who, all together, are offering close to 80 free mp3s to download and enjoy. Pauze Radio -- Probably the most interesting free download site on this list, the free mp3s are reggae radio shows which feature high-quality music curated by reggae DJs who know their stuff. Some of the artists featured are Elijah Prophet, Wayne Wonder, and Luciano. There are currently 14 shows available with around two hours of free reggae per show. Artist Direct -- Under its "Songs & Downloads" section, this site offers around 10 free mp3 downloads of reggae on average. Although this might not seem like very many, the trade-off is that these free songs are from bigger reggae artists such as Julian Marley and Peter Tosh, artists you won't be able to find on the sites above that focus more on indie artists. Dubroom -- This superb site is a combination of expert curation and a large mp3 selection of free music. When you browse the artists, not only can you download free songs from each one, but you can also read well-written reviews of the music you're downloading so that you're better informed about what you're listening to. It's a fun and educational experience. ReverbNation -- Besides providing a way for indie musicians to get their names out there, ReverbNation is a wonderful source for free music. Their search engine allows you to look only for artists of a specific genre with free downloads. 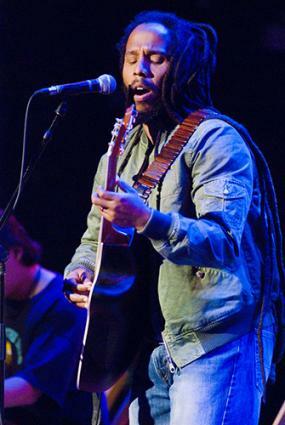 Over 500 artists are represented in the reggae category, including big names like Ziggy Marley. This comprehensive list will provide quite literally dozens of hours of free reggae listening. Reggae music is most likely one of the most generous genres in its offering of free songs. Although it's great to buy music and support the artists, a reggae fan could go a lifetime without having to pay for her music. Whether you're new to reggae or a veteran on the hunt for diamonds in the rough in the underground scene, these sites will introduce you to a whole new world of reggae. Although many of these interesting artists hail from places like Beirut or China or Russia, the roots of each reggae artist comes from the same source: the beautiful island of Jamaica in the warm Caribbean.